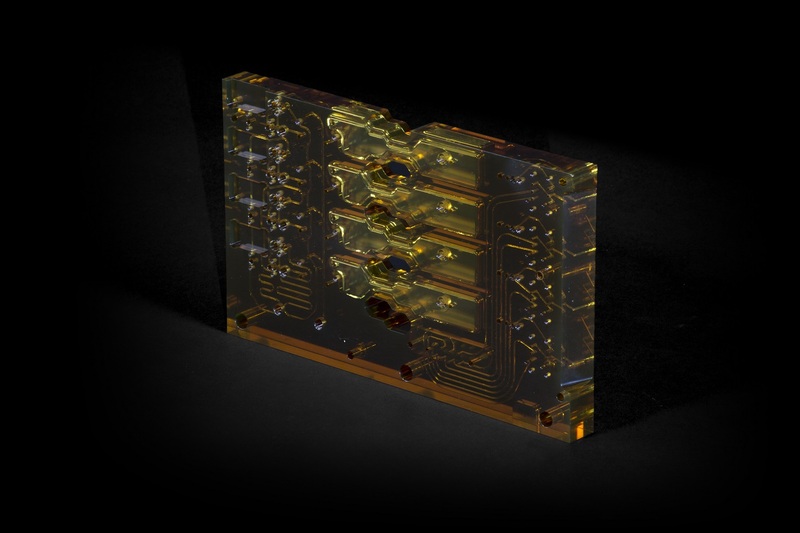 What Are Microfluidic Devices, Chips & Lab On A Chip? Microfluidic devices & Microfluidics is the science of controlling, distributing and manipulating fluids and gases in a network of micro-channels and chambers. Home > Latest news > What Are Microfluidic Devices? 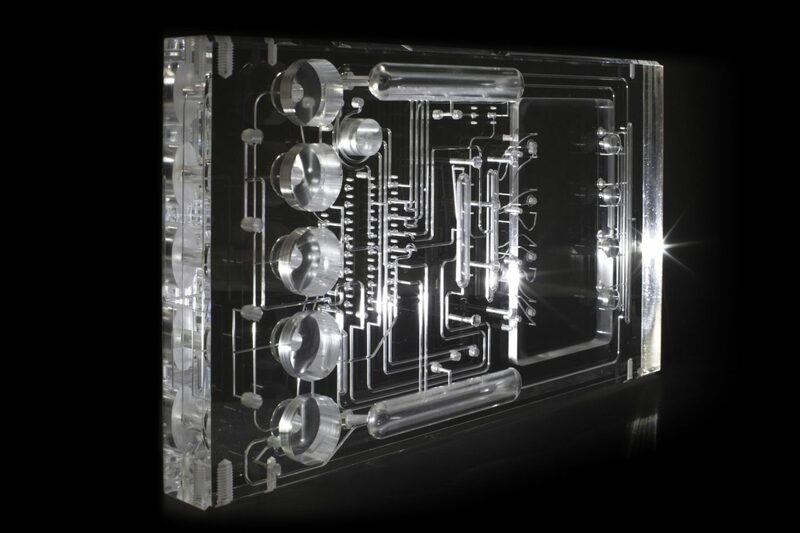 The science of Microfluidics was first developed in the early 1990’s and has grown exponentially.. It is now an essential tool for many applications, including – detecting toxins to analysing DNA within medical, life science and biomedical / biological research. Microfluidics has recently become an important factor in the food and beverage industry for detecting many pathogen and spoilage targets as well as measuring CO2 levels in beer and other beverages. Sometimes described as a “lab on a chip” to reflect the disposable applications, they are also used in semi and non-disposable applications. 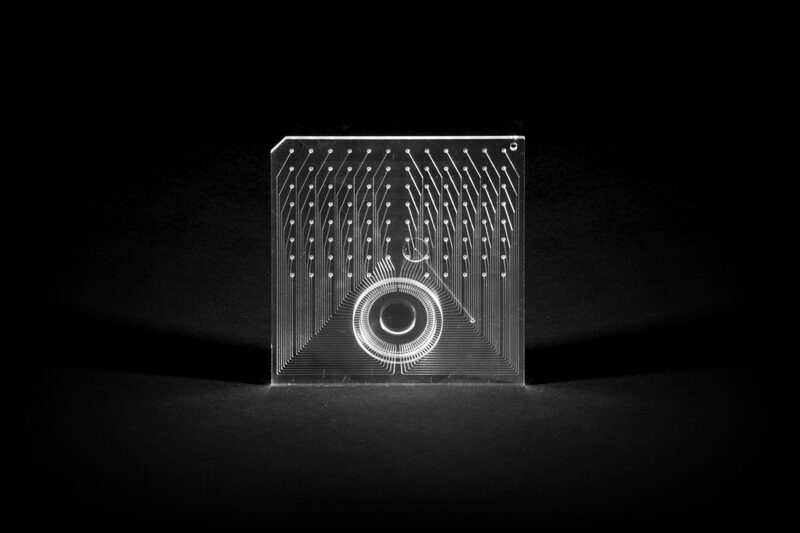 Microfluidic devices and chips can be manufactured using various different techniques, depending on designs, materials and cost points. Carville use a process of extremely accurate, precision machining channels onto plastic slides (or chips) combined with a unique High Accuracy Diffusion Bonding (HADB) technique to bond the plates together. The microfluidic chip manufacturing process can also incorporate various threads, sensors, stainless steel tubes and valves into the device. Devices and chips can be made as a single layer or complex multi-layers in various materials such as Acrylic (PMMA) and Ultem (PEI). 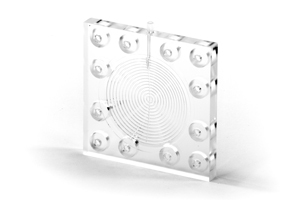 Acrylic is particularly popular to use for microfluidics due to its optical clarity properties. The Carville diffusion bonding process does not use any adhesives, cements or other contaminants in the process. Channels down to 150 microns width can be created, as well as a huge amount of design flexibitly of channel shapes, mixing chambers and volumes. 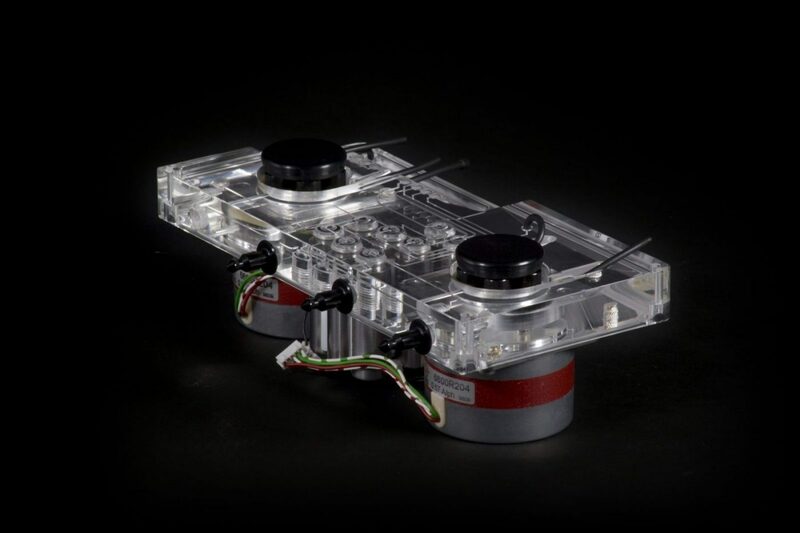 Carville is one of the worlds leading Microfluidics device companies. We designed and manufactured the world’s first bonded medical manifold back in the 1980’s. Since then, Carville have become a world-leader in microfluidics machining and high accuracy diffusion bonding. 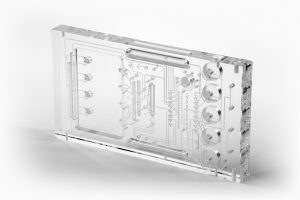 We have developed and manufactured 1000’s of custom microfluidic devices, chips and manifolds used for many applications and are manufactured to our clients unique requirements and specifications. To find out more about Microfluidics, please get in touch.